James Chalmers with the CLA 18ft Competition Trophy for 1st place. Prize giving by Shannon joint competition sponsor Pat Nolan (centre) of Premier Angling Supplies. Other Sponsor Gaelforce Fly Fishing. 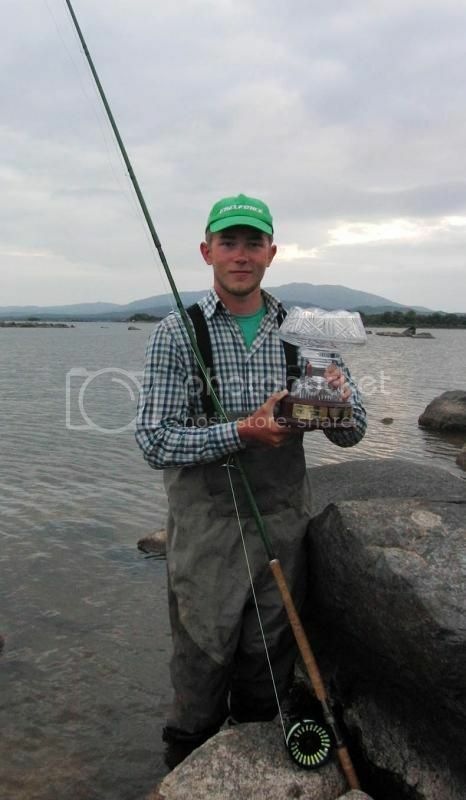 Martin Kiely from Limerick with some of the fruits of his success, DH Overhead and Spey. 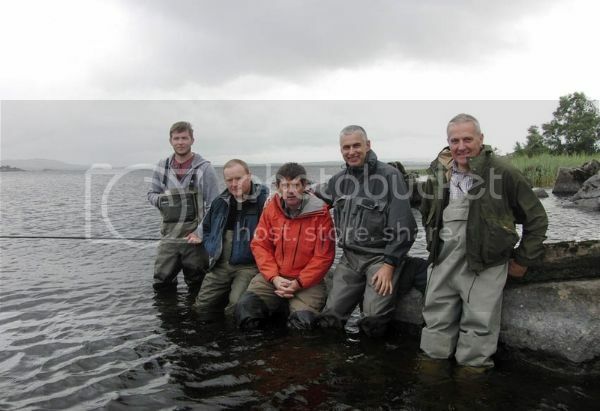 Stephen Slattery, Limerick casting in the Spey O Mega competition. Gerard Downey, Michael O'Kane, Lough Cullin evening. 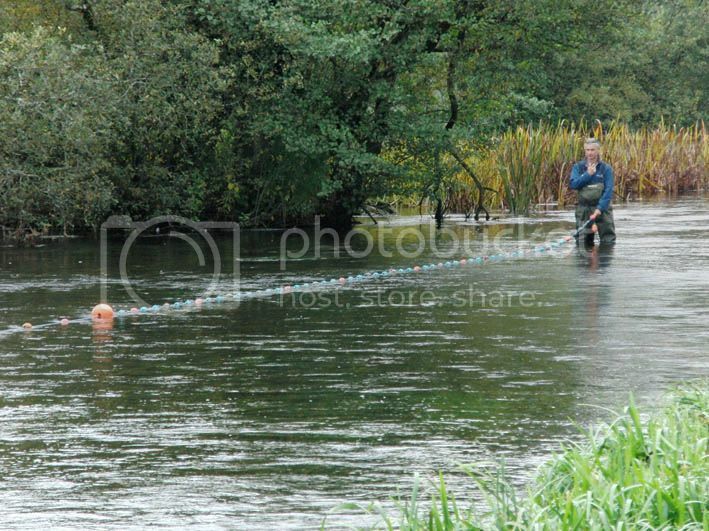 Derek Doyle placing the marking ropes at Spey O Mega competition on the Shannon, one of the best in river competition venues. A golden rule of competition fly casting is, if you don't like getting beaten then don't enter. Its a learning curve also, you improve and better yourself and your understanding of it over time. Fortunately Ireland is one of the best places in the world to become involved in competition Spey casting. Perhaps most especially the West of Ireland where we have plenty of Loughs to practice on. 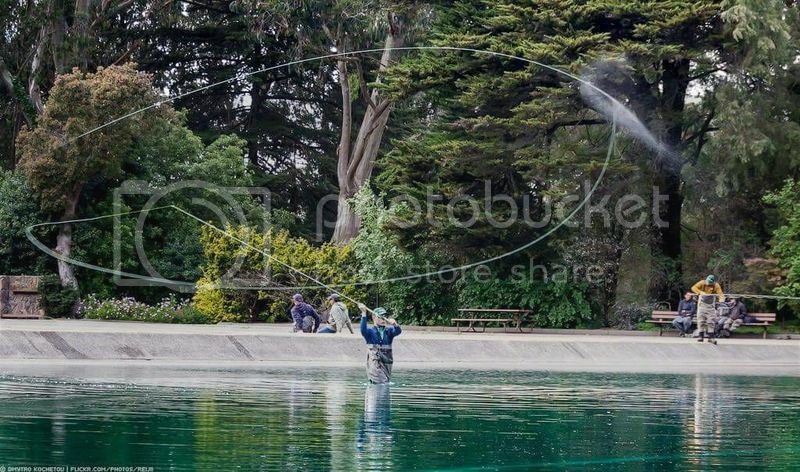 There are now three main events held on the Island of Ireland, and some of the best competition Spey casters in the World can be seen practicing or casting here, including Gerard Downey a four times winner of the world's best and most demanding Spey competition, Spey O Rama in San Francisco. 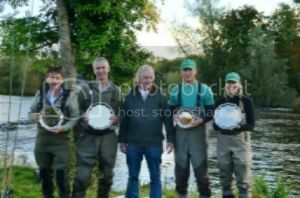 We also have Senior (55 plus) Spey O Rama Champion Martin Kiely from Limerick. 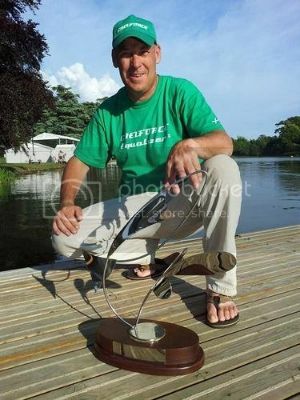 Also Michael O'Kane current holder of the Celtic Spey challenge competition which was attended by most of the best casters in the World, it was a fabulous achievement for Michael to win that competition. There are other good teams and casters from Scotland, Norway, Russia and America. We are also fortunate to have been mentored over the years by James Chalmers from Scotland who runs Gaelforce Fly Fishing. 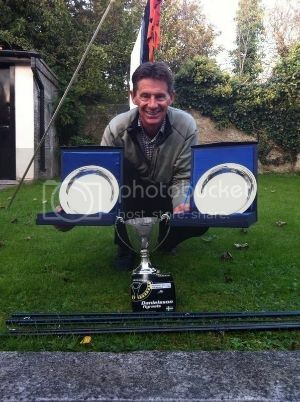 James is rarely ever out of the top six paces in the World over the past decade and won the CLA 18 ft competition recently. He is the source of suitable tackle and advice. World No1 Gerard Downey practicing on Lough Cullin, Gerard is the best competition Spey caster there has ever been, bar none. 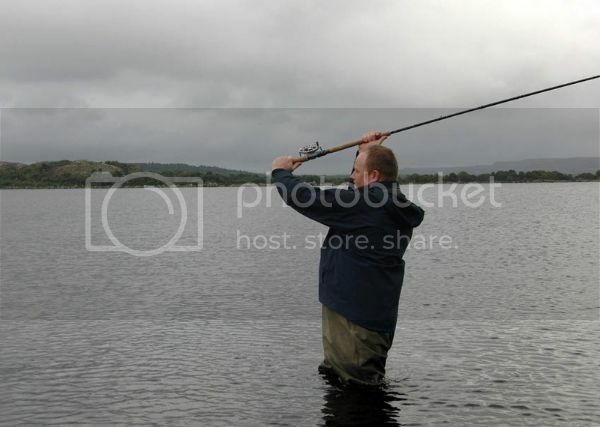 Practice session at the Irish Open on Lough Cullin. L to R, Michael O'Kane, Gerard Downey, Martin Kiely, Derek Doyle, Cathal Doherty.